Another Photo: I couldn’t resist! Don’t say I never gave you anything! 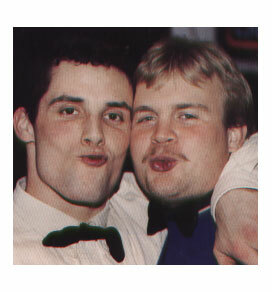 I was scanning some old football pictures from the 1994 Winona when I ran across this priceless gem. You can find even more pics of your fearless dean in this volume as well as the 92, 93, and 95 editions. I think the library probably has them on file. See how long before they get mysteriously pulled in some Central Hall directive! Can you help these fellow Hillsdale grads?